Paper business cards are an effective and low cost way to leave information for your customers. 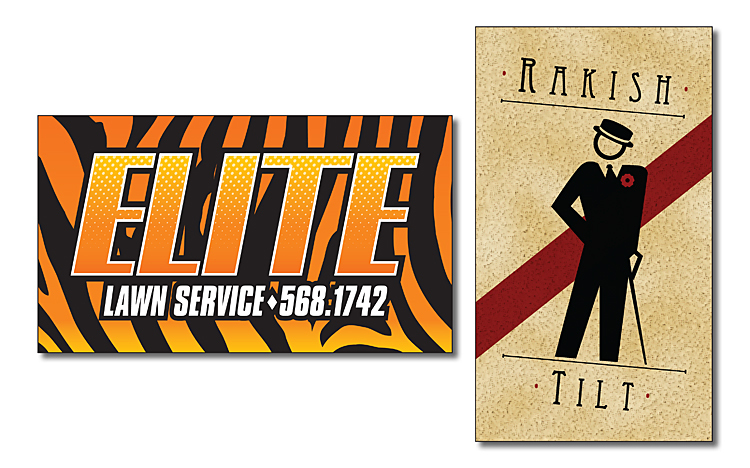 Personalized with your services and your contact information in full-color, extra thick, UV coated business cards are a proven marketing tool for keeping your name in front of your clients. Business cards are printed on 14 point C2S paper and UV-coated on one side. Price include printing in full-color (four color process) on one on one or both sides, UV-coating on one side only. Second side UV-coating is available at an additional charge. Exact color matches, metallic or fluorescent colors cannot be printed in full-color (four color process).